Ottawa Police East Criminal Investigations Unit and Crime Stoppers are seeking the public’s help in identifying a male responsible for using a stolen credit card. 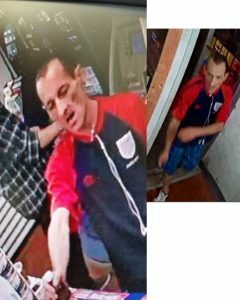 On the 14th of September 2017, an unidentified male used a stolen credit card to make multiple purchases in the Bell St, Bronson Ave, Gladstone Ave area. The credit card had been stolen from a vehicle in the Bank St area earlier in the day. Please see the photos below provided by investigators.